The FRM220-1000MS-MM Gigabit Ethernet media converter is currently made of two different items, the FRM220-1000MS converter and the multimode 1000Base-SX, short haul range SFP optical module. The converter can operate on both 50/125 and 62.5/125um multimode fibers. Maximum range on 50/125um fiber is 550m while 62.5/125um fiber allows only 275m of coverage. The uniqueness of FRM220-1000MS-MM Gigabit converter is given by the ability to convert from standalone media converter to card for FRM220 chassis, in matter of minutes. In an always changing and growing networking environment, such a versatile feature allows network operators to switch to higher density and aggregation hubs without the need to purchase new fiber optic converters. 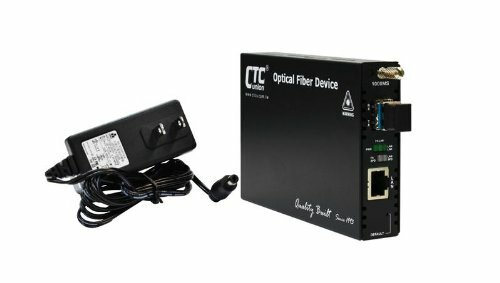 This simple, but so reliable idea, made the FRM220-1000MS-MM Gigabit Ethernet media converter one of the best choices of fiber converters for data carriers and service providers.